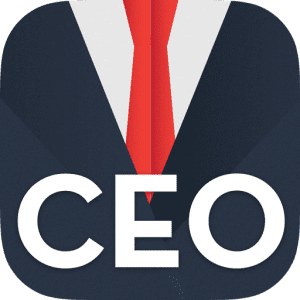 The CEO is not only responsible for running a profitable business, but required to be comfortable and skilled with family dynamics in the workplace. Working with family members—especially if you’re not one—creates a unique set of circumstances stemming from both the emotions of the family and the needs of the business. To lead a successful, multi-generational family business, a CEO must do the following 4 things. Establish clear expectations. The conflict that originates in many family businesses often comes from family members having unclear or differing expectations about their roles and responsibilities. The most effective family-business CEOs ensure that family members, both inside and outside the business, understand their roles and responsibilities to the company, to each other, and to the larger family group. Engage the family. There’s a clear tendency or trend to separate and protect the business from the family. For example, family members typically aren’t invited to collaborate with other business executives to develop a vision for the company. The emotions of the family and fear of conflict cause many families to avoid the important conversations necessary to keep ownership unified. Successful family-business CEOs understand the need for regular meetings with the larger family, separate and apart from business meetings. These meetings serve as a communication channel to share information about the company and its performance, and set expectations in key areas such as dividends, reinvestment, growth, and liquidity. Another benefit of special family meetings is to build relationships and unity among family members and to strengthen family values. Formalize your governance process. Eighty-five percent of family-business CEOs say that establishing an independent board was the most important business decision they ever made. Having a board of directors provides a sounding board for the CEO about important strategic and operational issues, as well as an objective group of business professionals to give feedback on the performance and advancement of family members. Don’t overly emulate your parents. 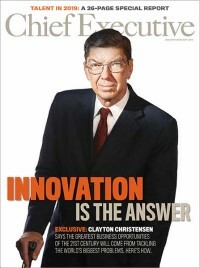 Many successor CEOs who took over from their parents get caught in the trap of trying to lead like their parents. The world around them encourages this, by constantly comparing them to their parents. Effective successor CEOs respect what their parents have done, but establish their own vision for what the company needs moving forward. Leading a family business has two areas of focus. It involves managing the business strategy and operations while attending to the emotions and dynamics of the family. A successful family business CEO will realize this and will work to establish a vision for the future, engage the family, formalize family governance and business governance, and set clear expectations for both the employees and the family.